Summary: The TI community is successful because of its united purpose and passion, open and collaborative nature, and the interconnectedness of its members. The TI graphing calculator community started in 1990 with the release of the first graphing calculator by Texas Instruments (the TI-81), and has continued to release innovative products again and again, year after year. In fact, if you look at the program archives on ticalc.org — the de-facto headquarters and face of the TI community — you will see an almost overwhelming assortment of programs, games, software, hardware, and documentation. So, what makes the TI community so successful? The basic reason that it is successful is because the members are united in purpose and passion. 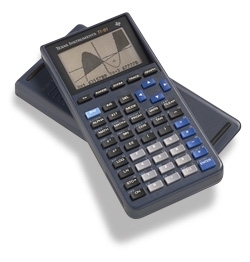 Just like the enthusiastic hobbyist community that developed around the Altair 8800 microcomputer by MITS in the 1970s, the TI community is continually excited by the release of new TI graphing calculators and the challenge of trying to figure out and master them. With the release of Flash memory, for instance, there was a whole new realm of possibilities that opened up for development by the community. Related to the unity in purpose and passion, the primary reason for the TI community's success is its open and collaborative nature. In fact, this is its core strength, and is very much part of the mindset and mentality that its members share. The willingness to help others applies to programmers sharing code, knowledge, and ideas; to beginners who are just starting out in the community and need help with doing basic things, such as uploading programs or setting up the development environment; and to whenever somebody makes a new discovery or invention. This was seen most clearly in the development of the first assembly shell, ZShell, for the TI-85 graphing calculator in 1994. There were several programmers — Dan Eble, David Boozer, Magnus Hagander, Rob Taylor, Mel Tsai, to name a few — working together to figure out the ROM code and internal structure of the memory, and it was through the documenting process that they stumbled upon the custom menu loophole that was used to allow execution of assembly language. Although the individual developers were all capable and competent, and probably could have each figured it out on their own, it was the cooperative effort that really hastened the process and allowed them to put the pieces together. The TI community was able to use the knowledge and understanding that it gained from the development of ZShell, and eventually discovered assembly loopholes on the other TI graphing calculators that didn't have native assembly support. Allowing others to study and learn from your code, and to use the techniques and concepts in their programs, also increases the quality of programs being released. When you compare the first programs and games released by the TI community to the programs and games released today, the difference is quite remarkable and striking. Not only is the actual game itself better (the graphics, gameplay, and so on), but the underlying code is much more complex, efficient, and robust. This advance can be seen in both TI-Basic and assembly programming, as the community has really matured in its knowledge and understanding of the languages. The open and collaborative nature of the TI community can also be seen in the interconnectedness of its members. Many of the people involved with the TI community not only had their own personal website where they posted their games and programs, but also contributed collaboratively as a member of a group and assisted with maintaining other sites in the community. This allowed the TI community to grow and expand, and the knowledge and understanding a person gained from working with one site or group got applied to other groups and sites, thus making the whole community better. One of the prime examples of this is the membership of the big three TI sites — ticalc.org, TI-Files, and Dimension-TI (calc.org). Several of the members of each site ended up forming their own site or programming group, or joined an existing one. Ahmed El-Helw, for instance, was actually a member of all three big sites at various times and a member of the programming group Void Productions, while Dan Englender was a member of TI-Files and the TI Calculator Programming Alliance (TCPA) and Detached Solutions programming groups. "Consider how you got here and help somebody else get here."